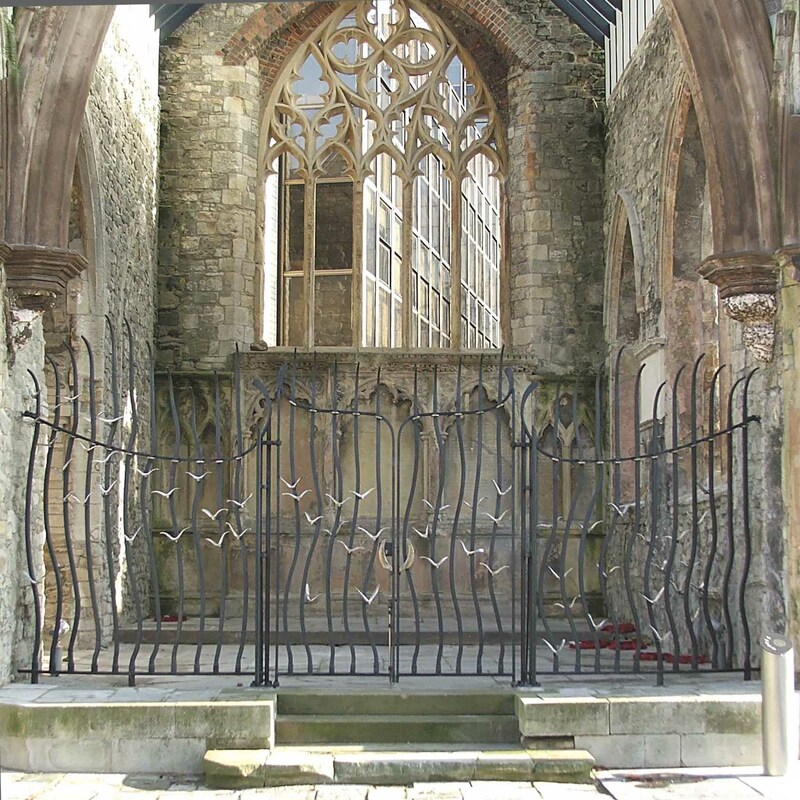 Known as The Sailors’ Church, medieval Holyrood Church was extensively bomb damaged in 1940. 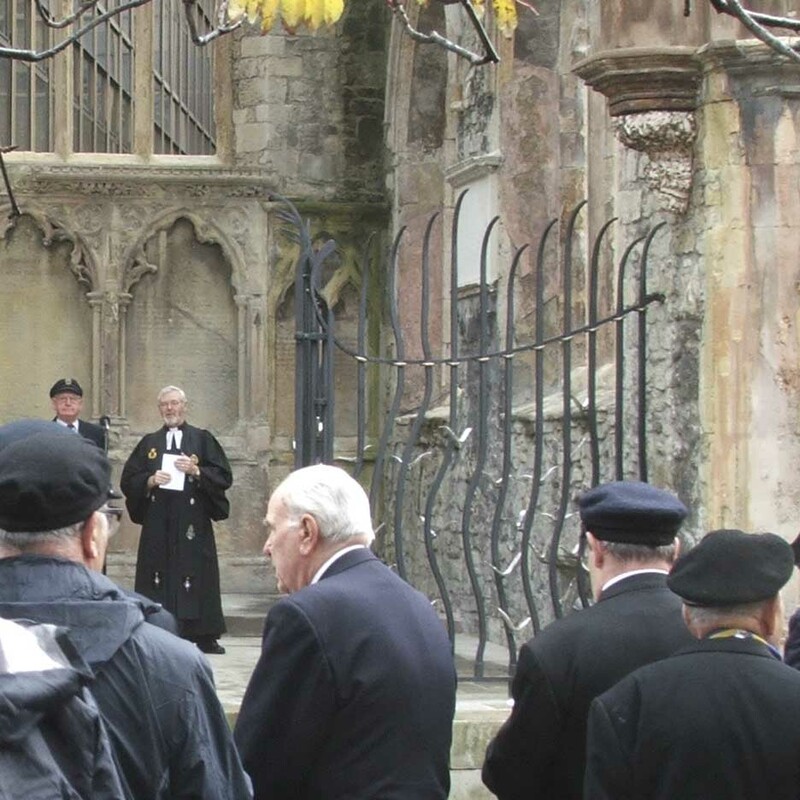 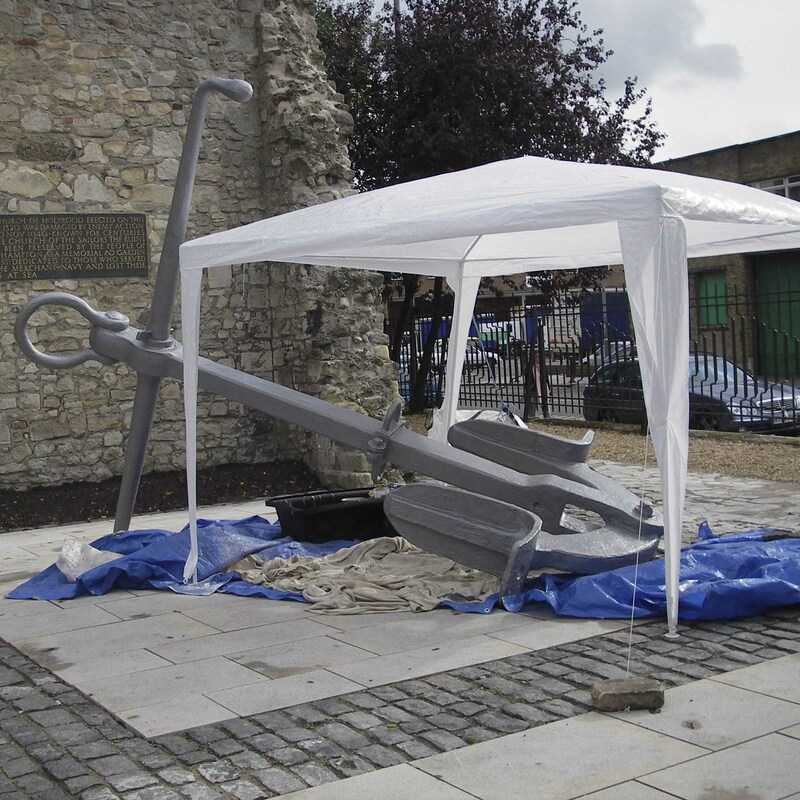 The ruins are now a memorial to the men and women of the Merchant Navy. 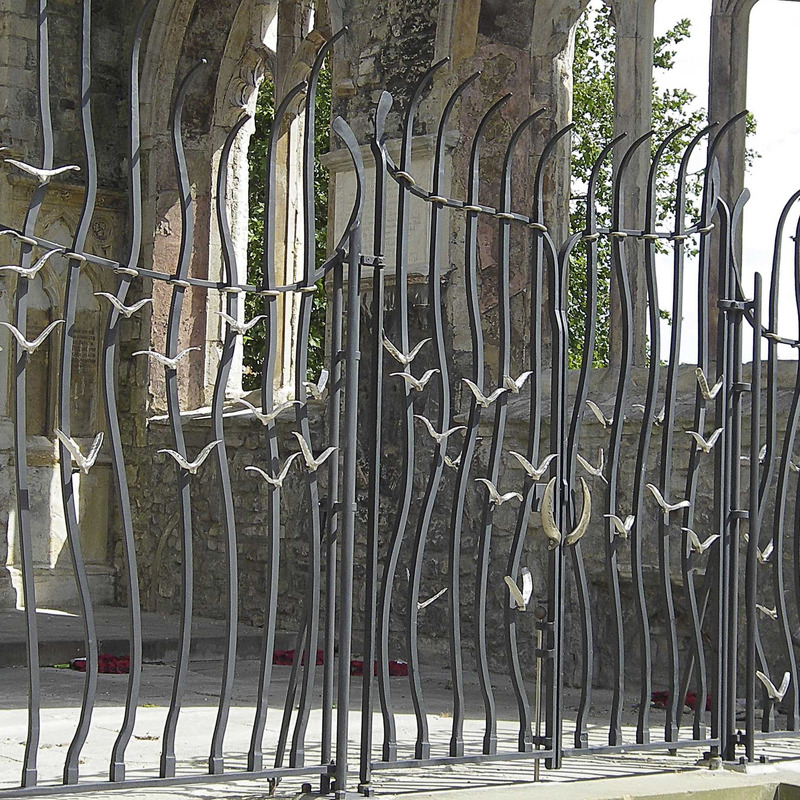 1) Chancel screen with prow shaped integral gates in mild steel and bronze. 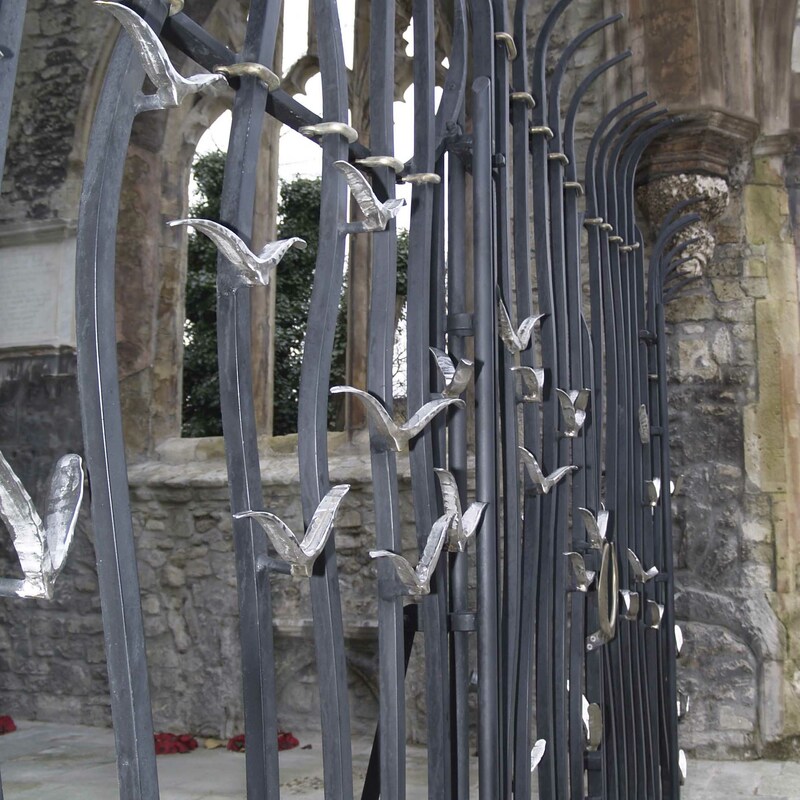 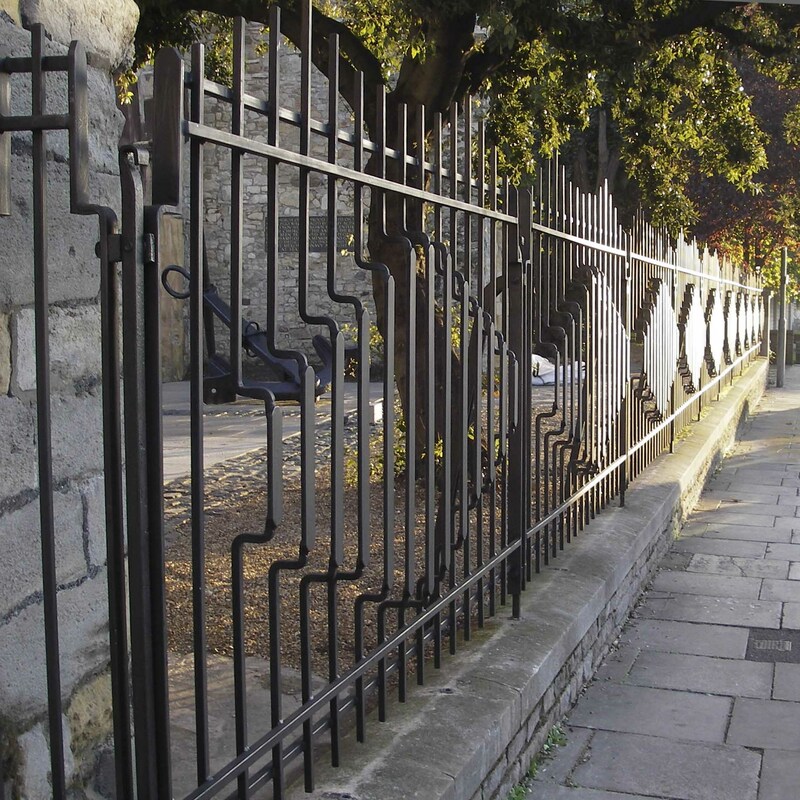 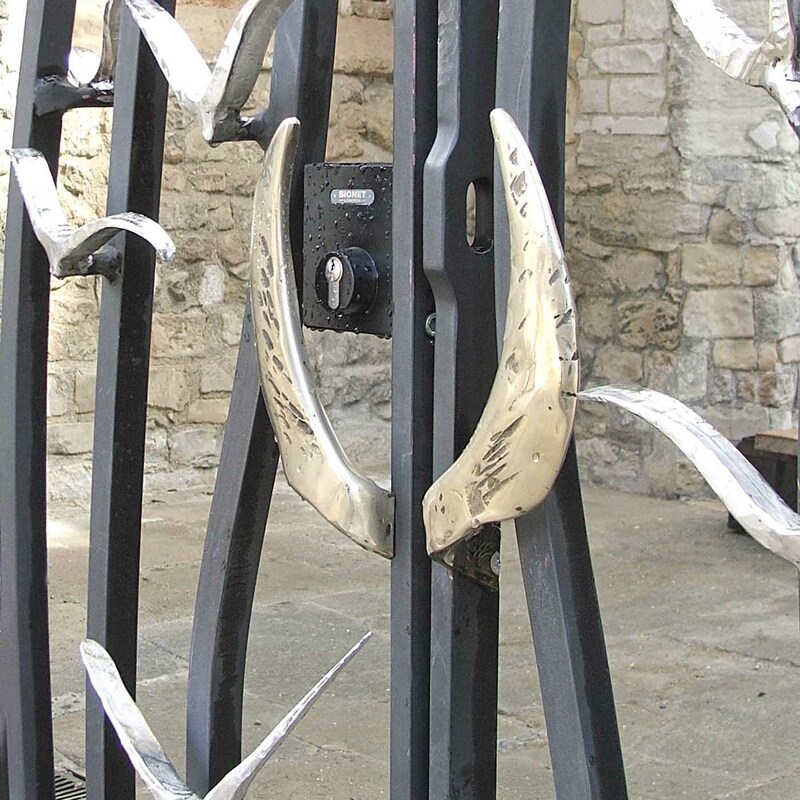 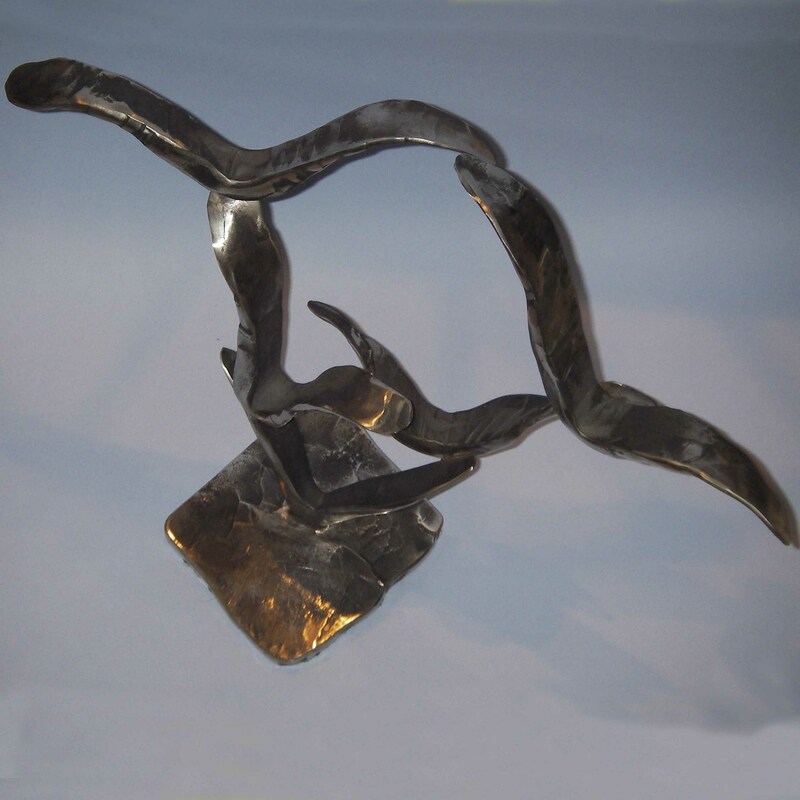 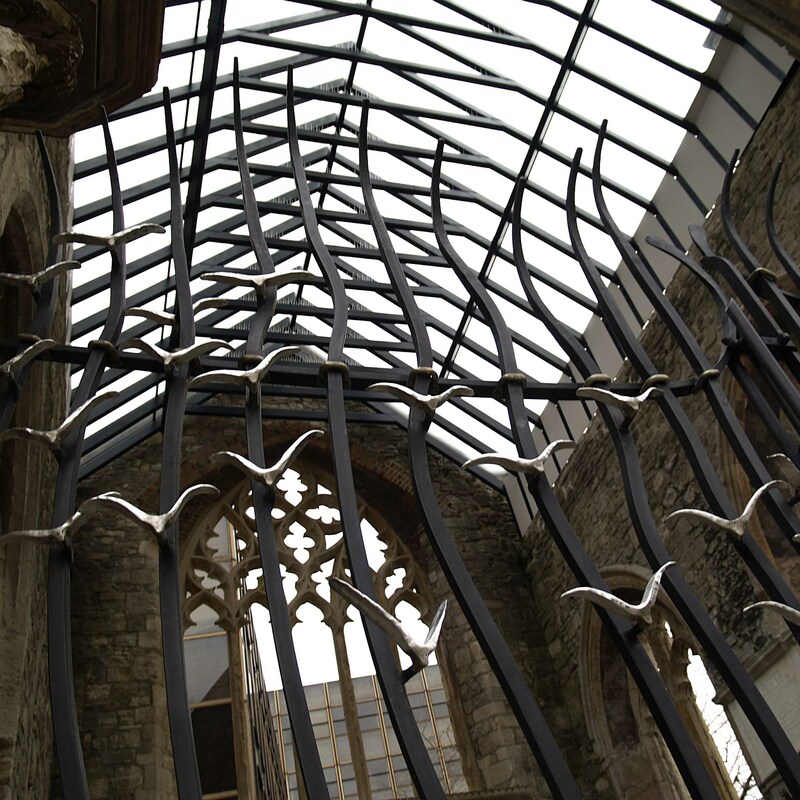 Stainless steel seagulls fly through the wave-like bars, representing the souls of mariners. 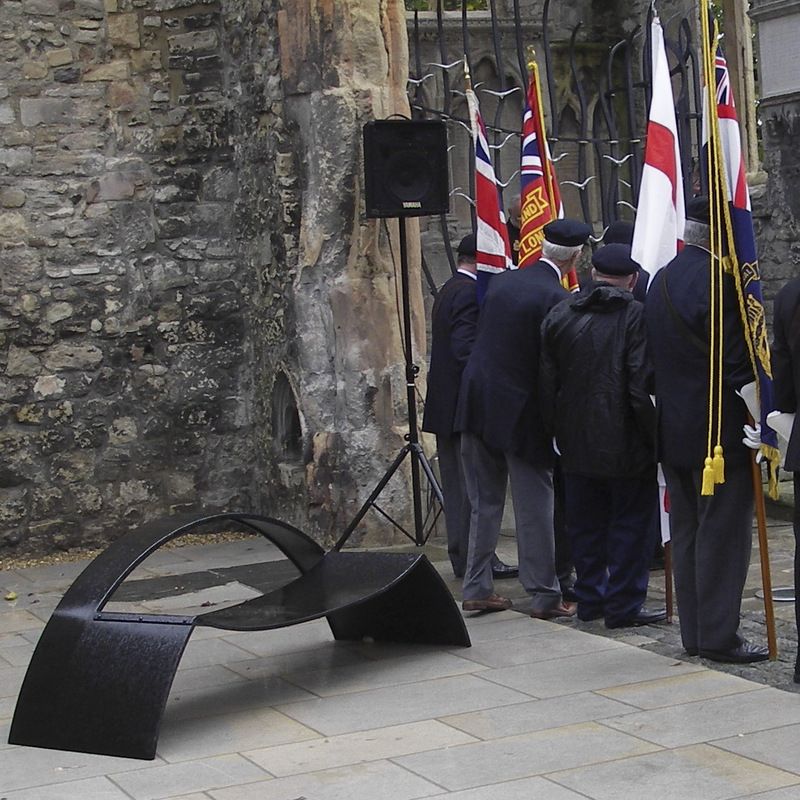 member, pilot Captain A D Howe.